Looking for a new Tarot spread to try? Here's one I've been working on this week. I'd love to hear from you if you give it a go! Go back to the card you discarded preceding the “Good Card” and lay it down as Card 1. Then Card 2 is the “Something Good” card, so lay it down to the Right of Card 1. Card 3 is the next card you were going to discard after the "Good" card, lay it down to the Right of Card 2. Read these 3 cards together as a concept. Look for synchronicity among the cards that come up. Look for elemental interaction, planets colliding or coinciding, colors, symbols, and the energy from words, numbers, and imagery. Look for resonance with the question asked, the energy from the person being read, and your own intuitive feelings. Make note of what stands out. Think about how deep you had to dig into the deck to find something good. What was happening as you were going through the cards looking for it? What obstacles were passed along the way? What not-so-bad things did you discard? Anything that stuck in your memory? Does it relate? Repeat the process 2 more times by drawing two more 3-card spreads in the same manner described, shuffling and cutting each time. Place the additional spreads below the first one. Read these three lines of cards like a bingo-card. Horizontally, vertically, diagonally, and all 4 corners. Understand that sometimes “something good” can arrive in the form of a type of "compliment sandwich" – it can be surrounded by seemingly “not that great” cards. That doesn't mean it isn't something good, but sometimes "good" things have challenges. Focus on the positive. How does the presence of the surrounding cards affect the "good" one? Note: If you are fortunate enough to draw “something good” on the first card, Congratulations! You found the Secret Shortcut to the “Tell-Me-Something-Good Spread.” Read the Card. Put the deck down and feel a moment of gratitude for that Something Good in your life. Smile. And, then smile 2 more times. Your tarot card readings sound very accurate. I think I will order a phone reading from you soon. I also need psychic readings, via the telephone. 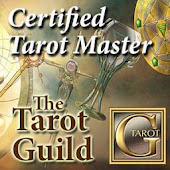 You have a great name for this blog, Tarot Dactyl I love! In my work for psychic black magic removal, I am thinking about what to call my new project, do you have any suggestions? You seem to have a good way with words. Thank you all for your kind comments which I just noticed today (years later) whew life is bizarre sometimes!